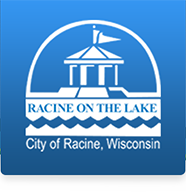 It is our goal that you will find useful information concerning property located within the City of Racine, and the assessment process. Much of the information you see is updated and maintained daily. If there is anything you need assistance with please don't hesitate to contact myself or one my of my staff. If you have any suggestions for improvement, they are truly welcome. You can either send a note to me or our webmaster. The owner information on the tax bills is typically extracted from the City’s computer database in November. If a property sells during the middle of November to December, the new ownership will not appear on the tax bill for the current year. The new ownership will be updated in the Assessor’s Office approximately 2 weeks after the deed has been recorded with the Register of Deeds. Please feel free to contact the Assessor’s Office at any time for the most up to date information. Print and fill out a change of mailing address form. The form is available at the Assessor’s Office located in City Hall, 730 Washington Ave, Room 106, Racine. A name change needs to be recorded in the Register of Deeds Office. Please contact the Register of Deeds at (262) 636-3208 located in the County Courthouse, 730 Wisconsin Avenue, Racine. January 1st Determination date for ownership and usage of exempt properties. January 31st Full payment of taxes due OR if paying in installments, due date of first tax installment payment. Property assessment administration is a complex and technical profession vital to the financial health of local government. Assessors are responsible for administering the ad valorem tax system, and their chief task is to identify and appraise all general property in their jurisdictions. An ad valorem tax is based on the principle that the amount of tax paid should depend on the value of property owned. The Assessor's Department is entrusted with the responsibility to see that assessed values used for tax purposes are accurate so that the tax burden will be distributed fairly. Only if assessed values are correct will tax limits, and the distribution of state aid to localities be as the legislature intended. This trust involves the annual evaluation of approximately 27,000 parcels of land, over 25,000 buildings, and over 2,000 plus personal property accounts, the preparation of the assessment rolls, and processing of every real estate transaction. Maintaining for each parcel as regards legal descriptions, ownership, mapping, property data, and sales data, and the assimilation of new parcels into the assessing process, are all major functions vital to performance and service. The basic motivation for revaluation is equity. When a property is over-appraised, its owners will be paying more than their fair share of taxes. Under-appraisals contribute to a lower tax base, causing the community to set higher tax rates. Our goal is to improve appraisal accuracy by providing a reappraisal, an updating of values for all properties in our city annually.